Business Growth Adviser Al Bryce joined the team in 2015 after 6 years delivering start-up support at East Lothian Business Gateway. He comes from a background in marketing with a special interest in digital and completed a postgrad in digital marketing in 2013. He has a special interest in early stage businesses with strong ambitions and enjoys supporting founders with guidance around strategy, finance and growth. Evan McLean is one of our Business Growth Advisers having joined the team in 2014, and currently looks after a diverse portfolio of SMEs who have ambitions to grow both in the UK and Internationally. He comes from a background in Commercial and Corporate Banking, and was one of the first recipients of the CIOBSs Chartered Banker qualification. As a Business Growth Adviser, Evan has a special interest in engaging with a portfolio of clients who are looking to grow and improve their business, and to assist them in raising their awareness around preparing for investment. Business School Graduate MBA, APMG accredited Change Manager. Extensive B2B commercial / business development / sales experience gained in education and professional services sectors, private and public. Prior to joining Business Gateway roles included; Commercial Manager, Lecturer; Project Manager; Client Relationship Director. With over 20 years' of experience in economic development, Lindsey is currently the Business Gateway Growth Adviser specialising in support for social enterprises. A Qualified Conference Interpreter and Translator and former International Trade & Export Advisor, Lindsey participated in the Lothian Export Club, the Scottish Local Authority Economic Development International Trade Group and was responsible for the research and introduction of Edinburgh's inaugural German Christmas Market. More recently, Lindsey has experience in town centre management, having created Edinburgh's Town Centre Strategy, and assisted in the creation of Edinburgh's first central Business Improvement District (BID), Essential Edinburgh and the subsequent city BIDs. Lindsey has advised several Boards including: The Edinburgh International Conference Centre; Waterfront Edinburgh; & The City Centre Management Company. She currently participates in the Scottish Government Cross Party Working Group for Social Enterprise; the Social Enterprise Local Authorities Group (SELAG) and the Social Enterprise Strategy Implementation Group (SESIG). 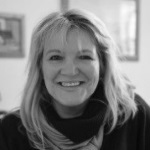 Lindsey has a BA Joint Honours in Conference Interpreting and Translating (French & German) from Heriot- Watt University and also studied at Napier University for the Advanced Diploma in Export Marketing with Languages. Rebecca has experience in both start up and growth support. She currently works with existing businesses advising of all aspects of their growth strategy and offering 121 support. 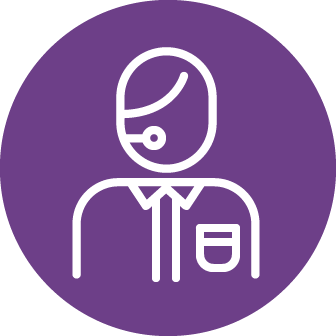 Rebecca also works closely with the local universities and colleges within Edinburgh and provides both 121 surgeries and information sessions advising on the Business Gateway support available. Rebecca enjoys meeting clients and getting to know their business while identifying what support she can provide and establishing strong client relationships. 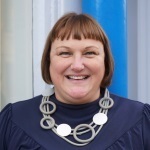 Susan Harkins heads up Business Gateway Edinburgh, over the last 15 years she has led her team to support over 25,000 small businesses to start-up and grow. Susan has a passion for working with SMEs, and has a keen interest in Women Led Businesses, Digital and Social Enterprise. Susan chairs the Business Gateway National Operational network, is founder of Women in Business Edinburgh network, a member of the Scottish Government Women in Business Action Group, regularly contributes to the Scottish Government Cross party groups on Women in Business and Social Enterprise and is an active member of Scottish Local Authority Economic Development (SLAED) Business Group.